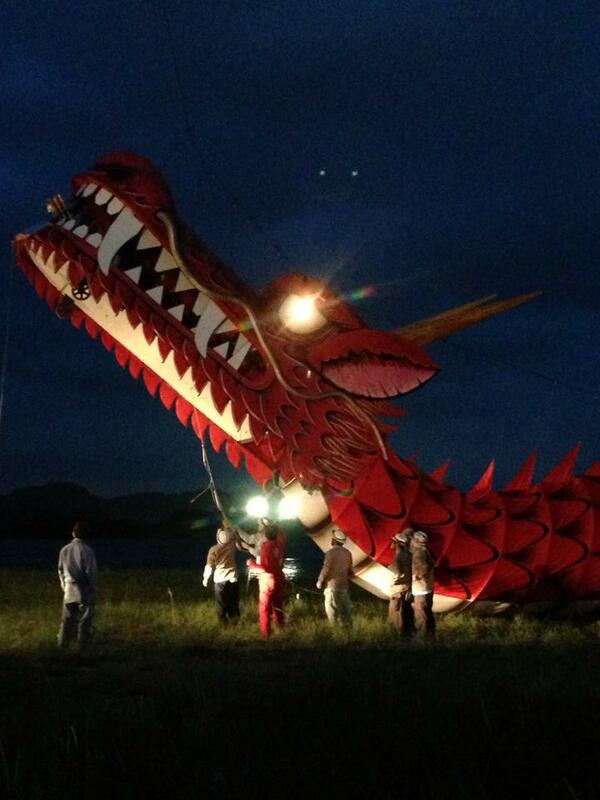 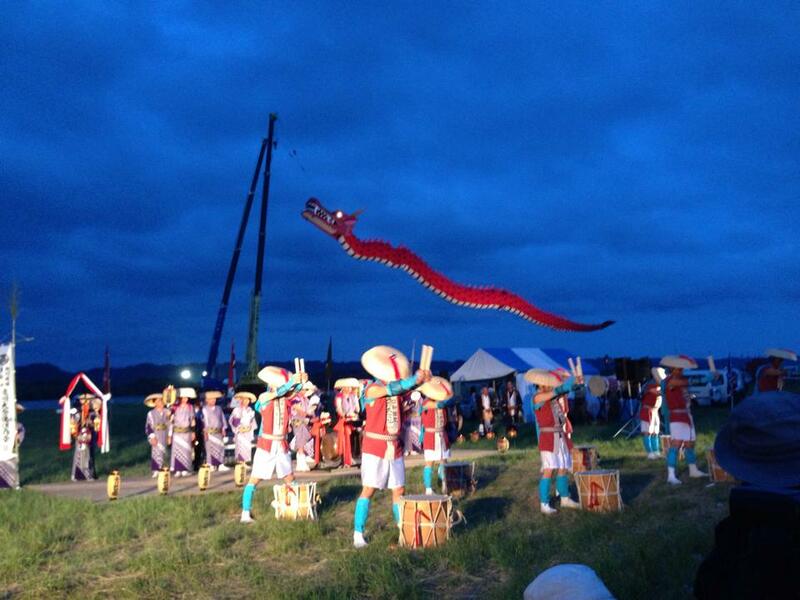 Hamamtsu City is famous for its kite Festival, but this particular festival is little known! 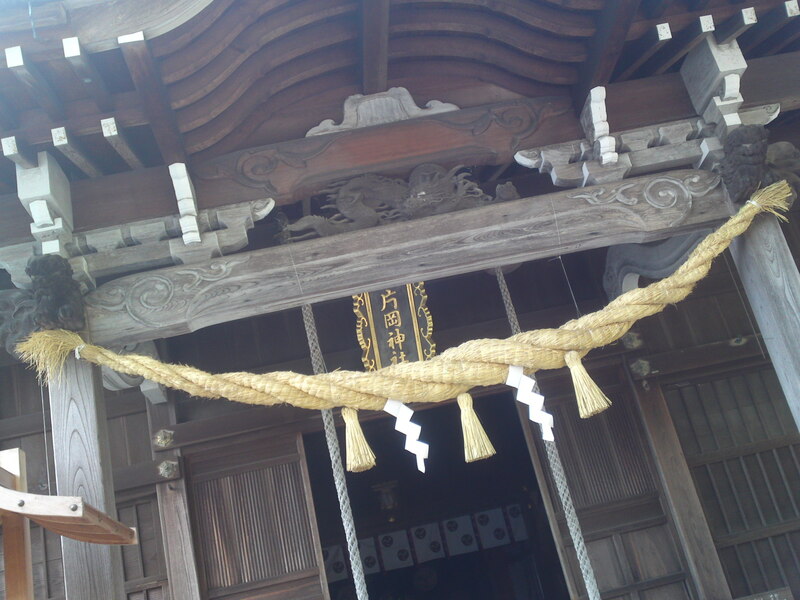 Komagata Shrine, Aoi Ku, shizuoka City! 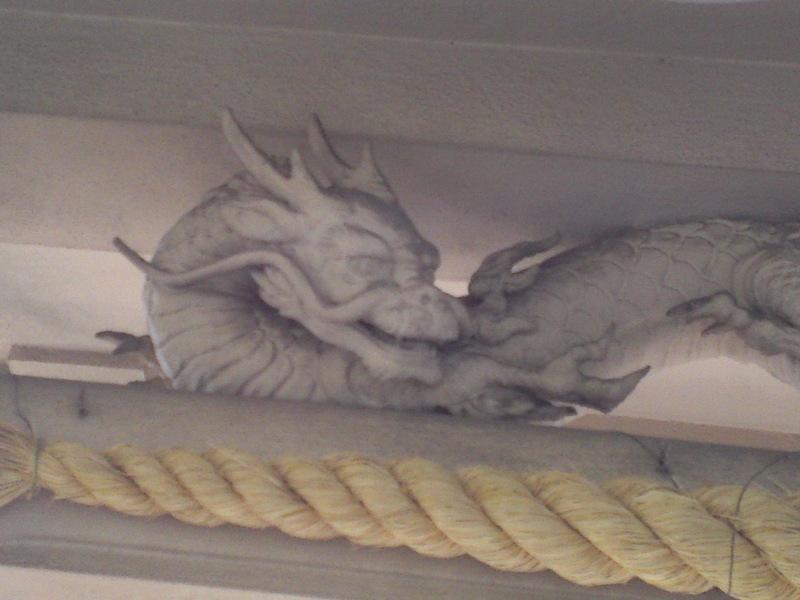 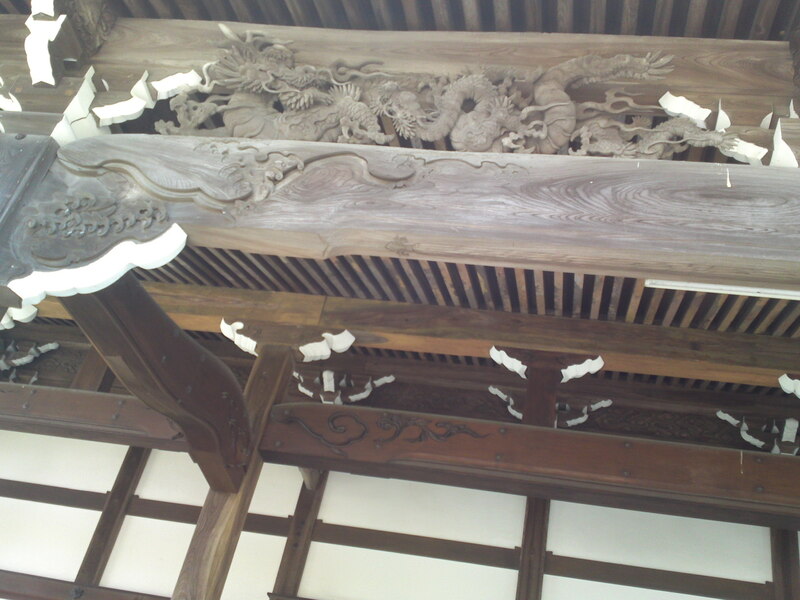 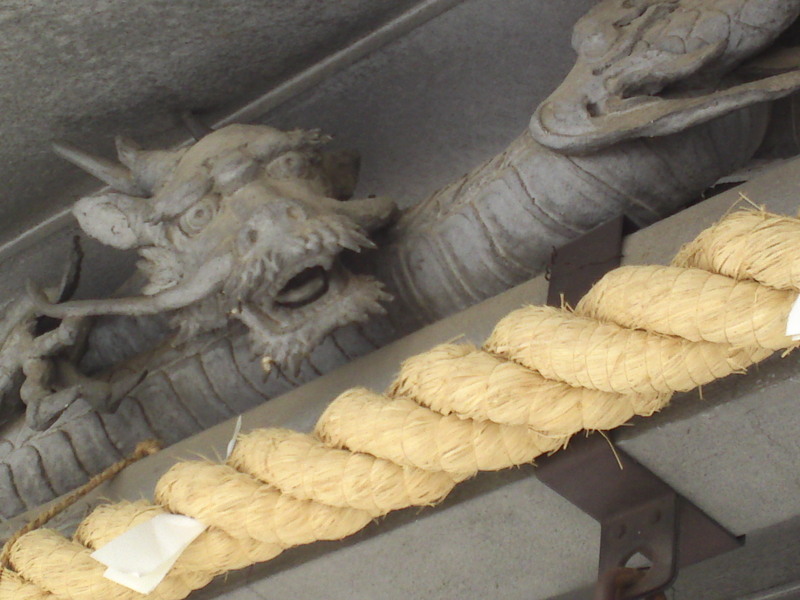 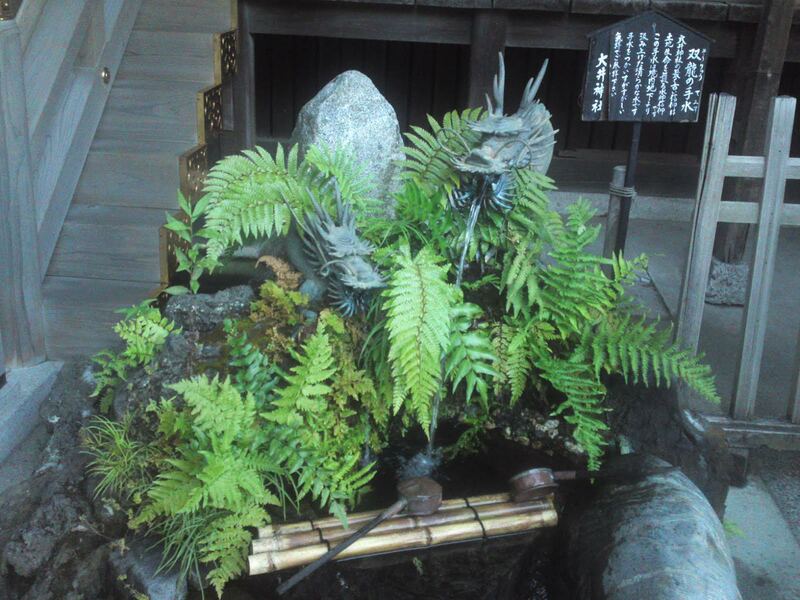 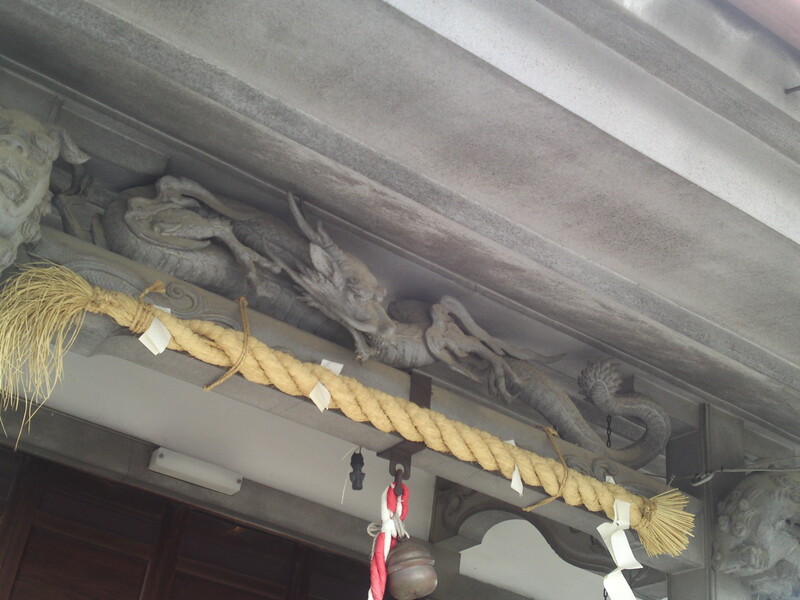 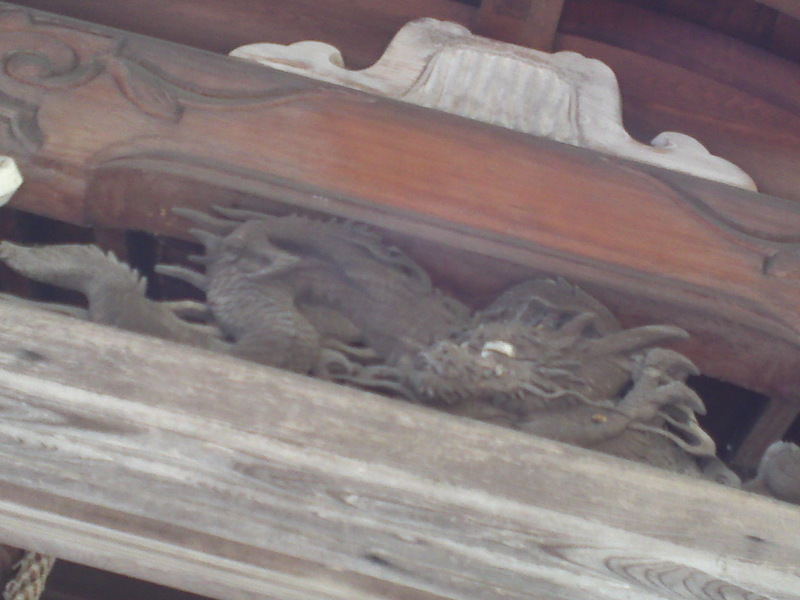 Dragons can be found under eaves in Shinto Shrines! 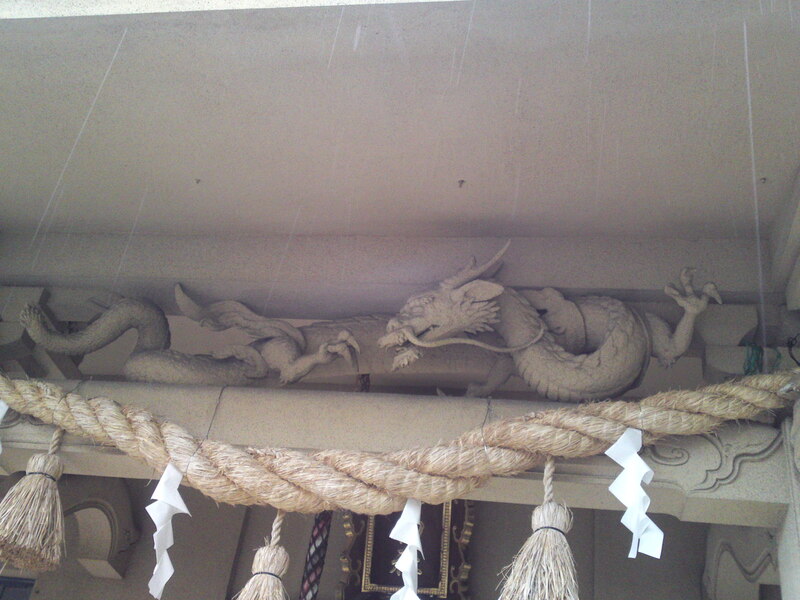 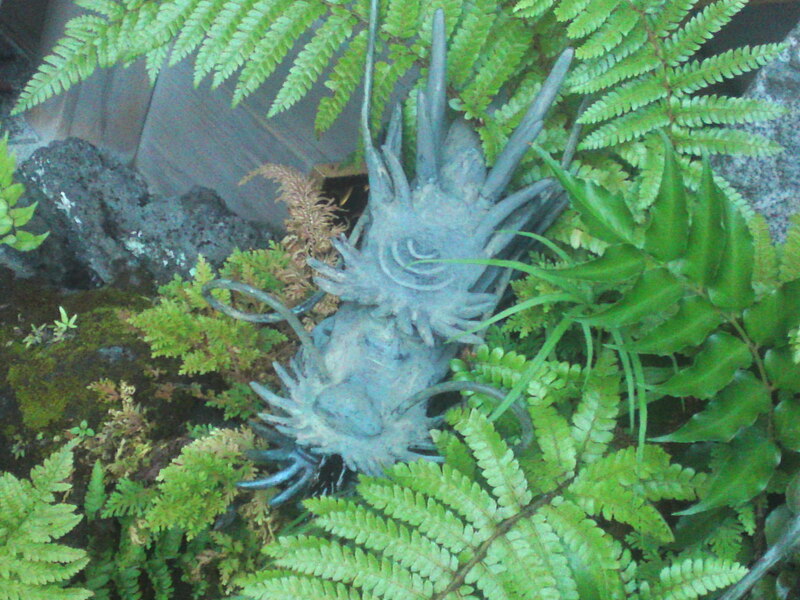 Note that their tendrils and horns are coming in many shapes and size. 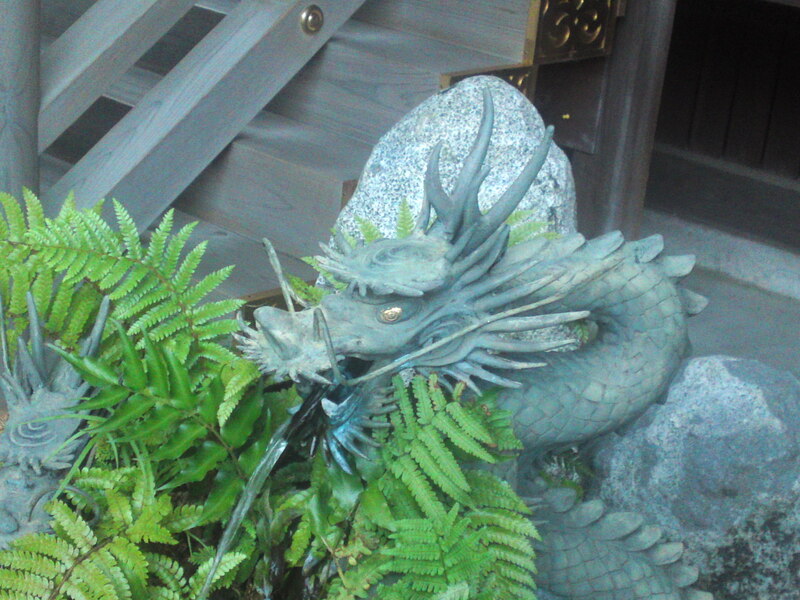 And their maws can either roar or laugh! 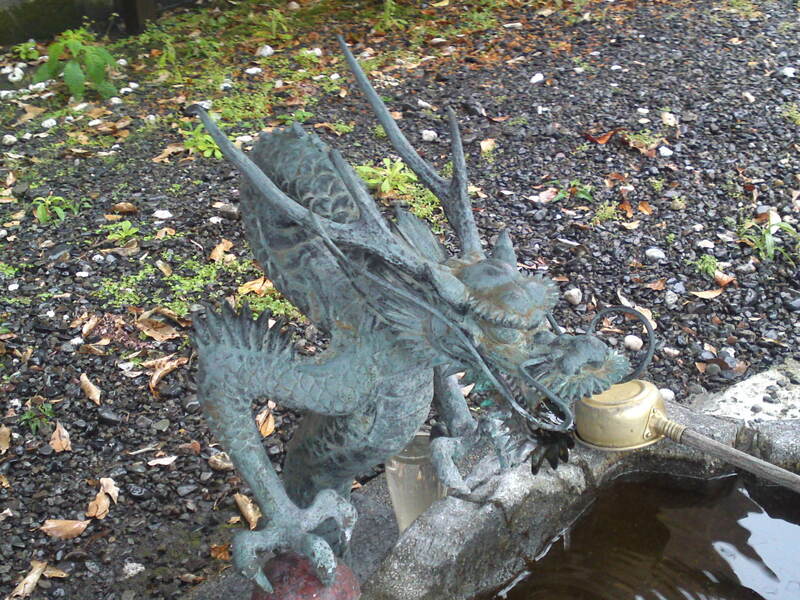 You will find small ones pouring water out of their maws, too! 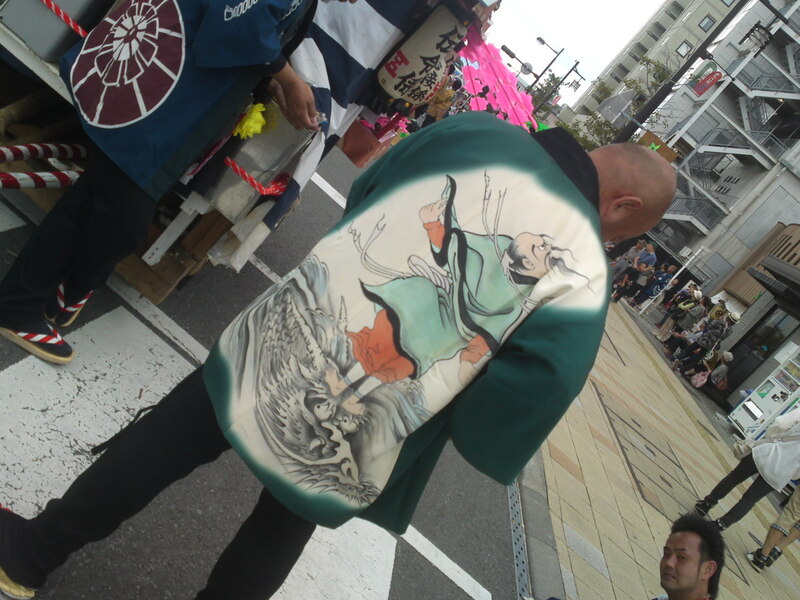 You will also discover them on “happi/festival jackets”! 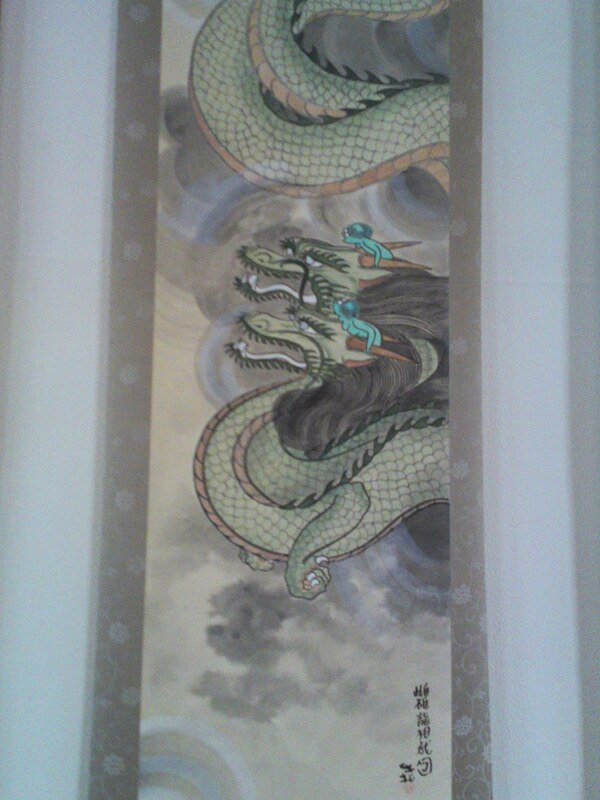 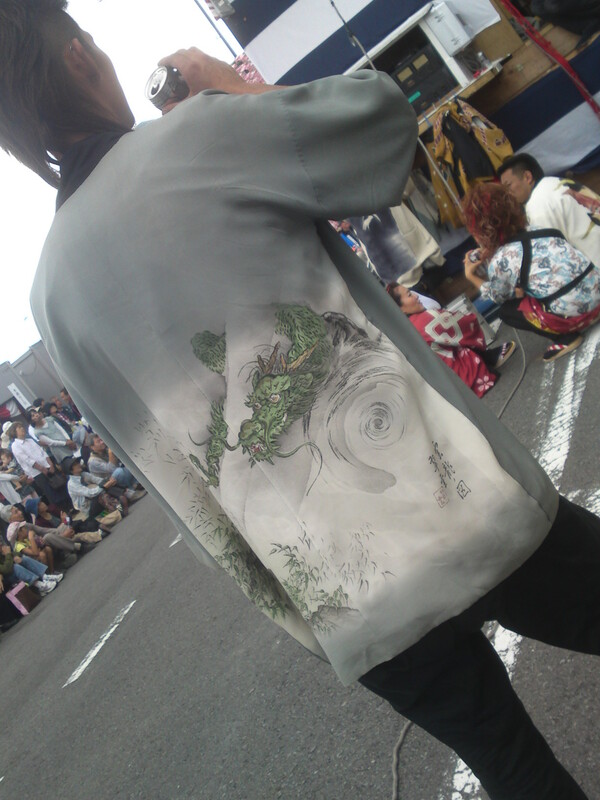 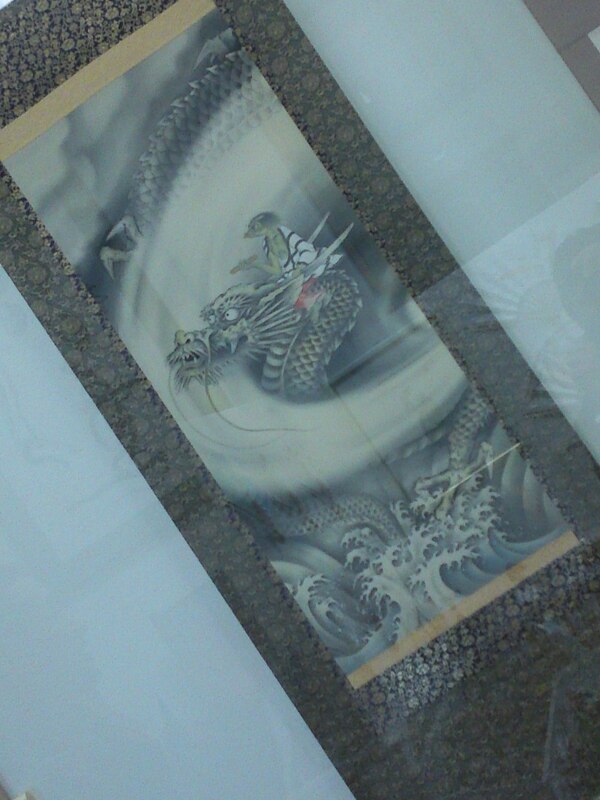 Discovered at the Shimada Obi Festival (held only every 3 years!)! 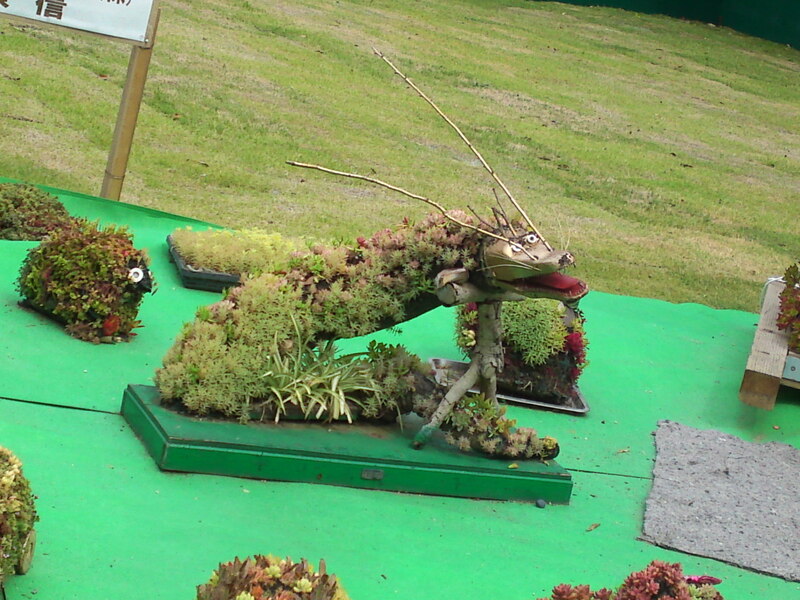 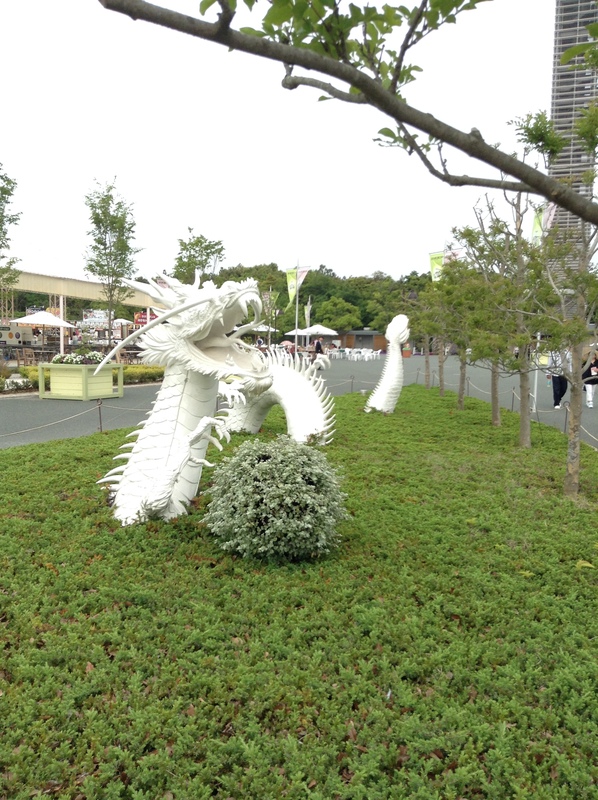 A flowery dragon at Hamana Lake Flower garden! 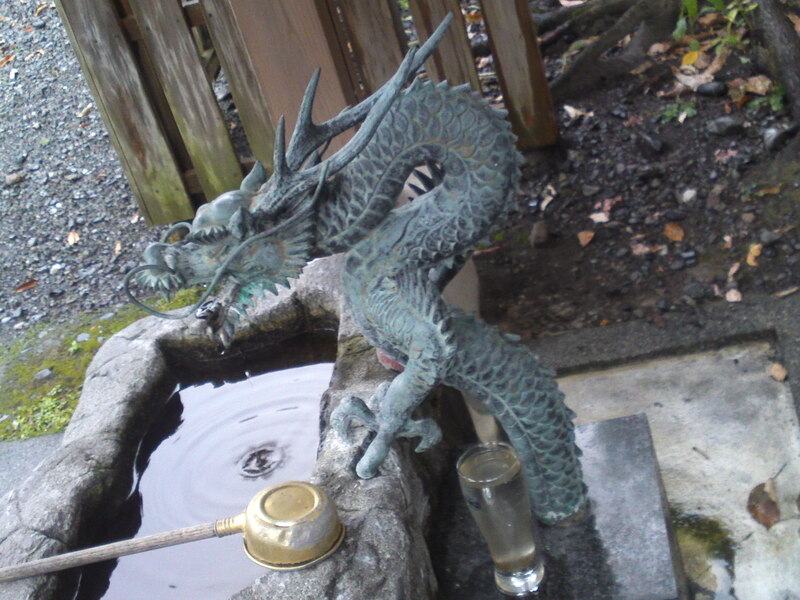 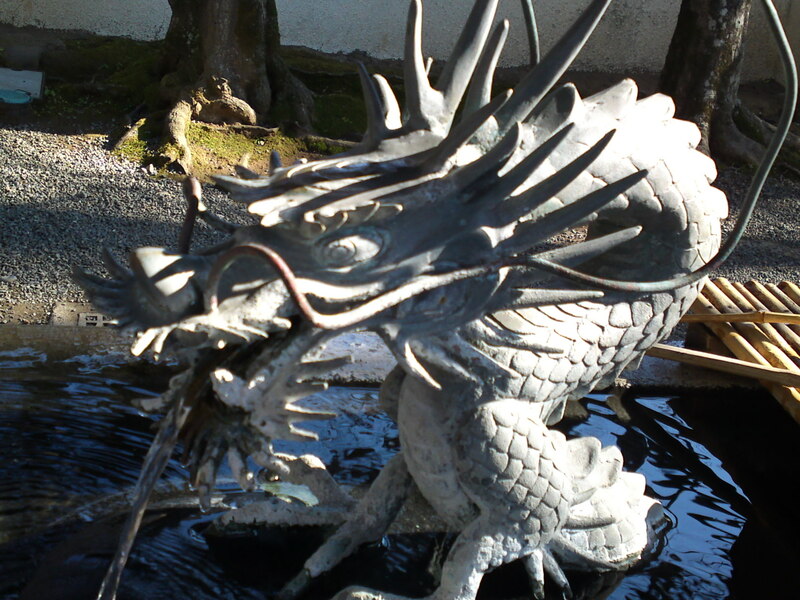 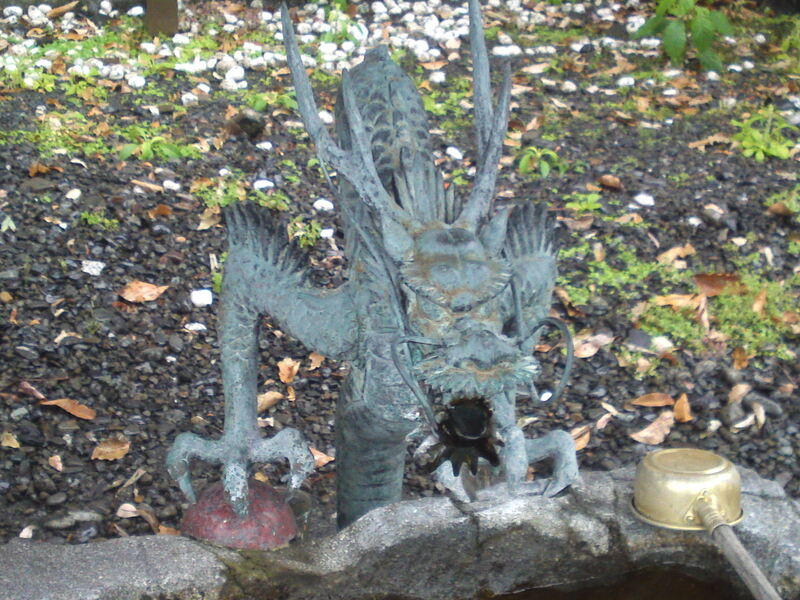 A fierce dragon spouting water in the main Shinto Shrine of Shuzenji, Izu Peninsula! 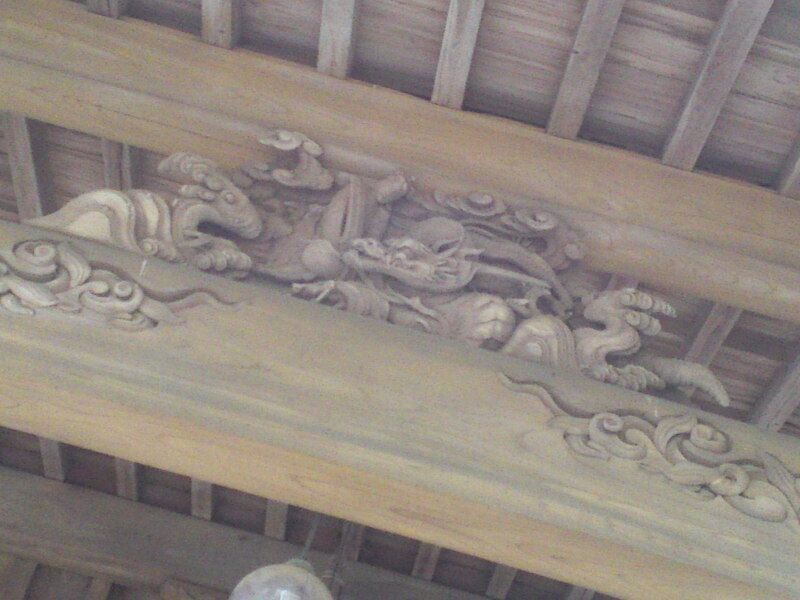 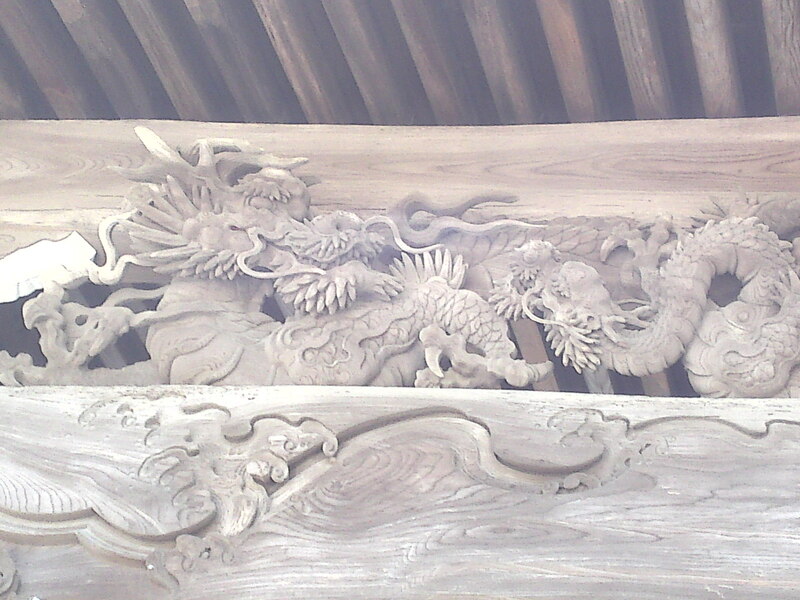 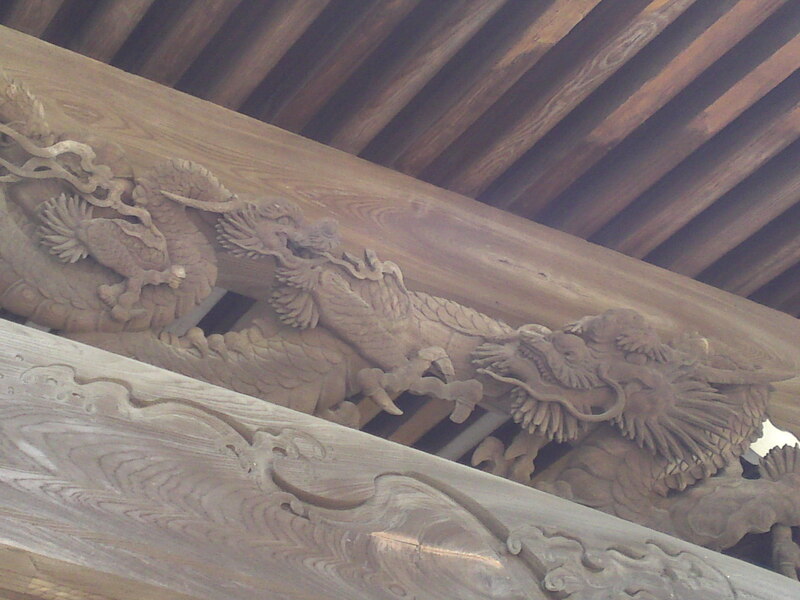 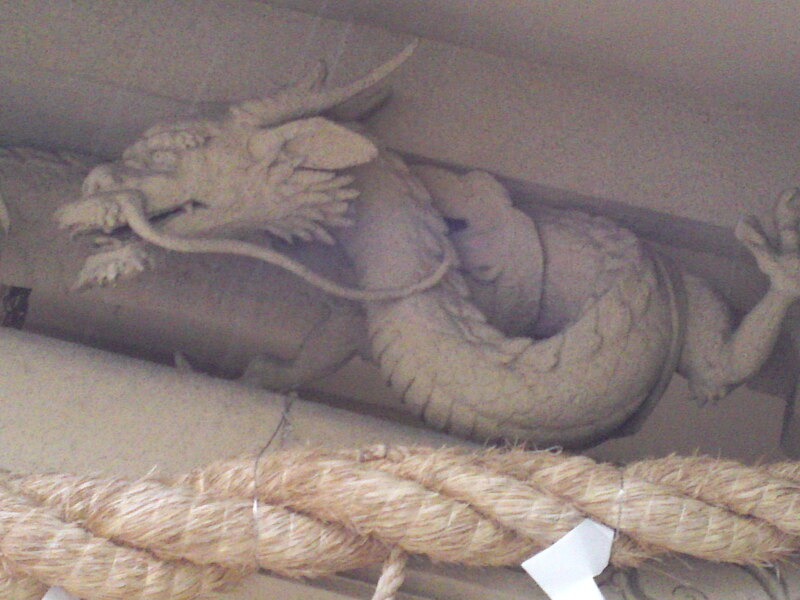 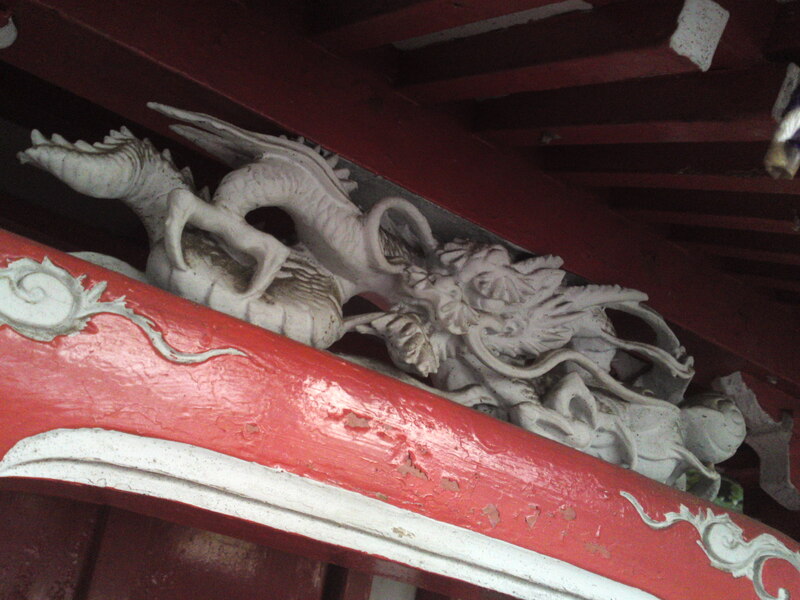 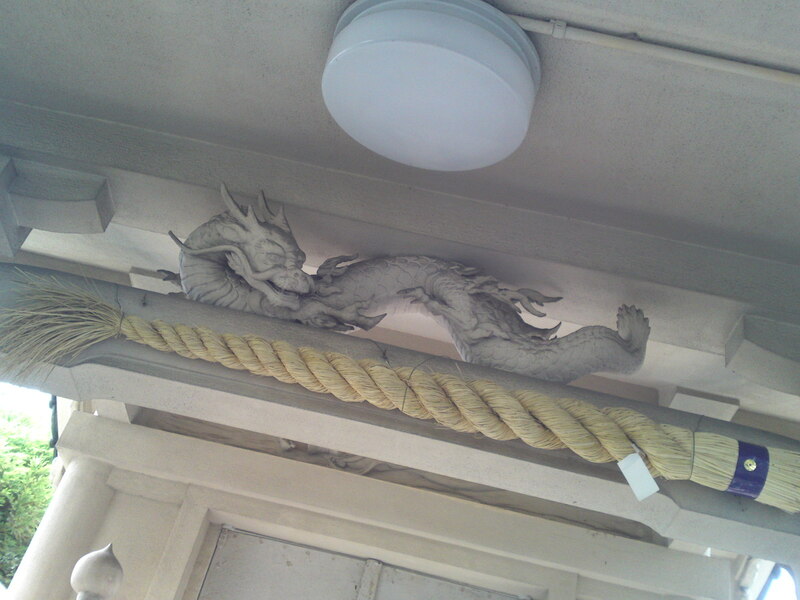 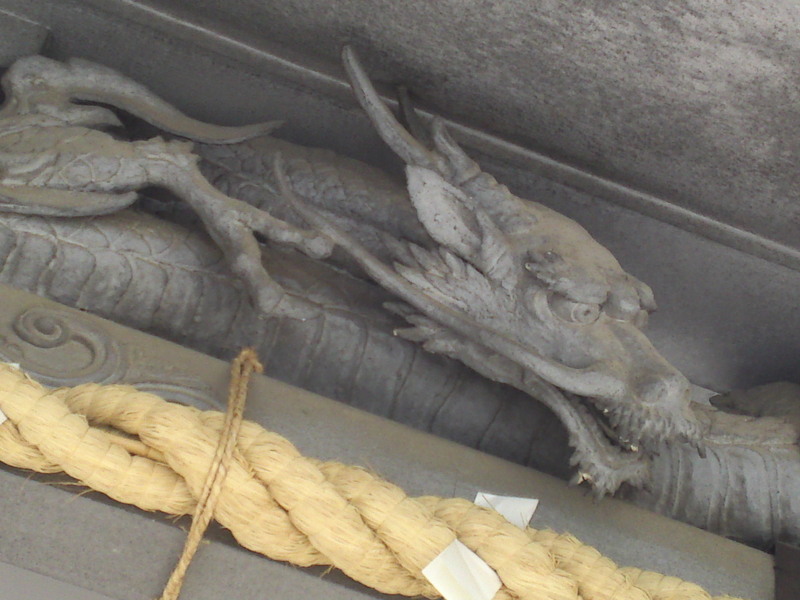 Another dragon lurking under the eaves of Sumiyoshi Shrine in Aoi Ku, Shizuoka City! 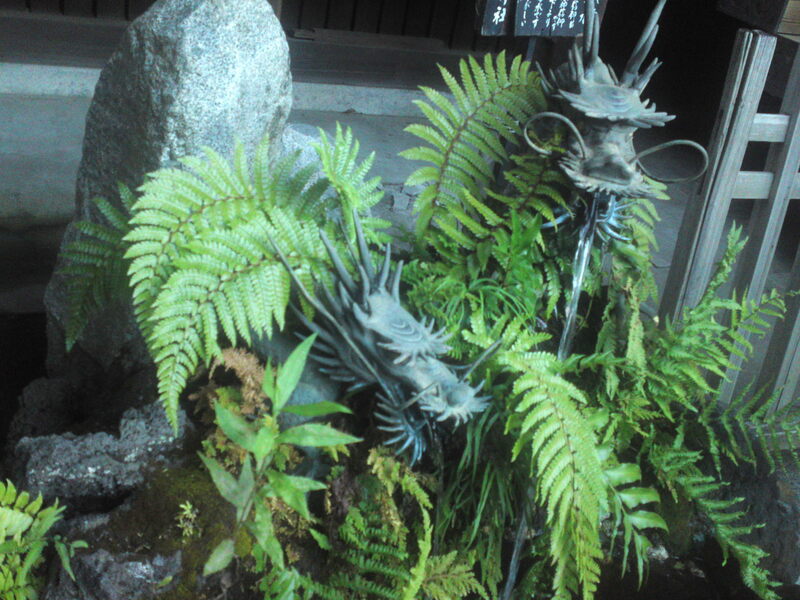 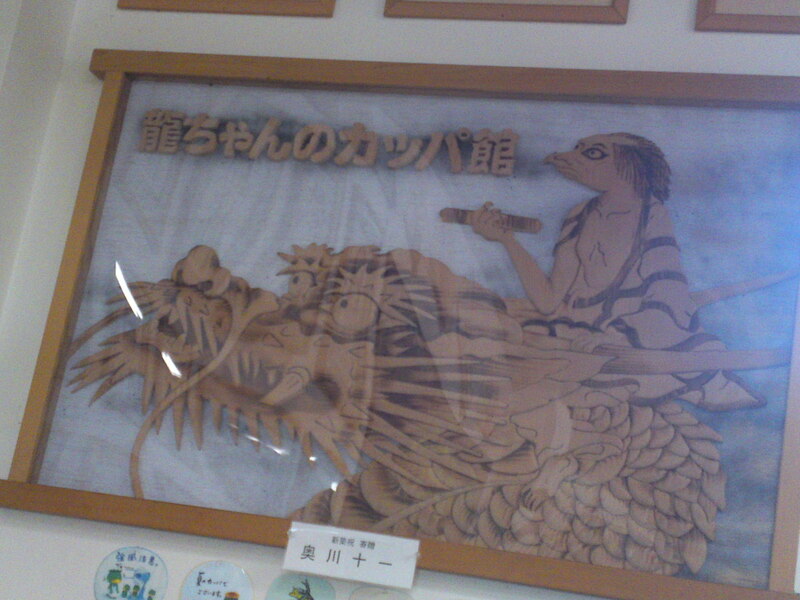 Dragons with kappa/water goblins at Tacchan Kappa Museum in Yaizu City! 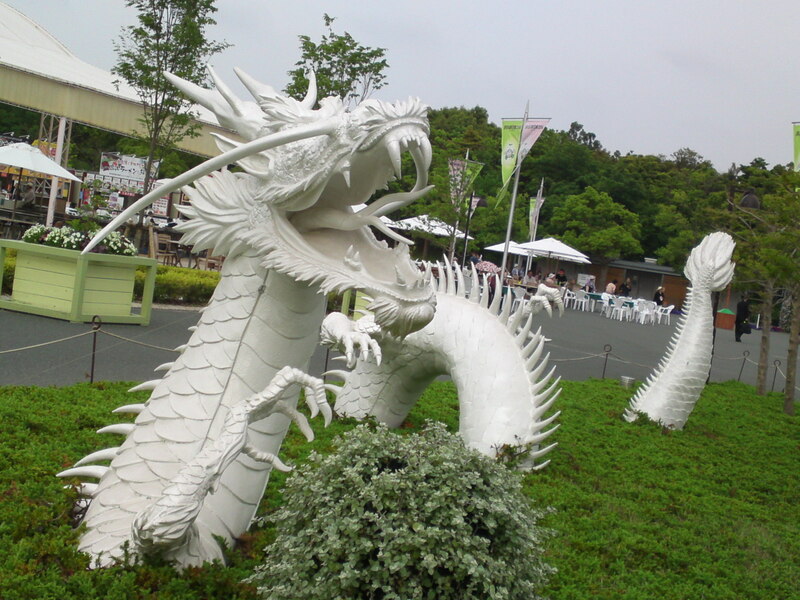 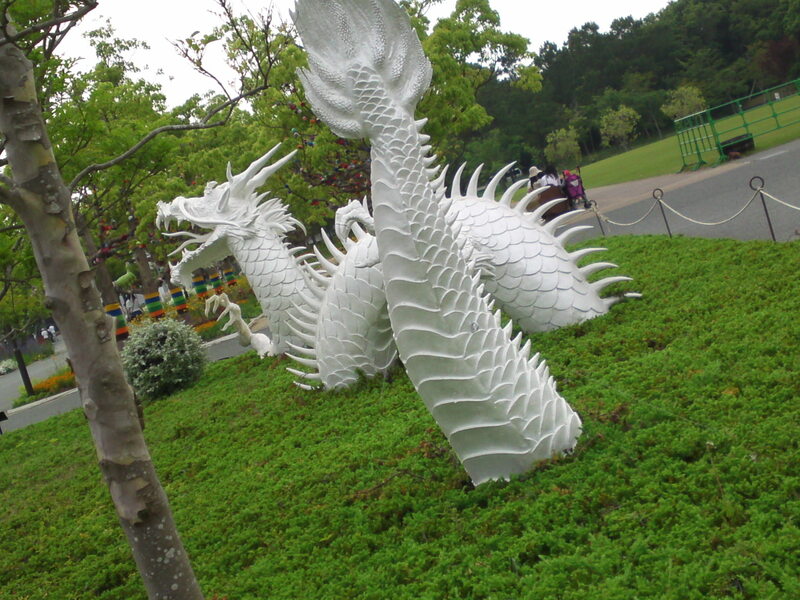 A white dragon having fun at Hamana lake Flower Garden! 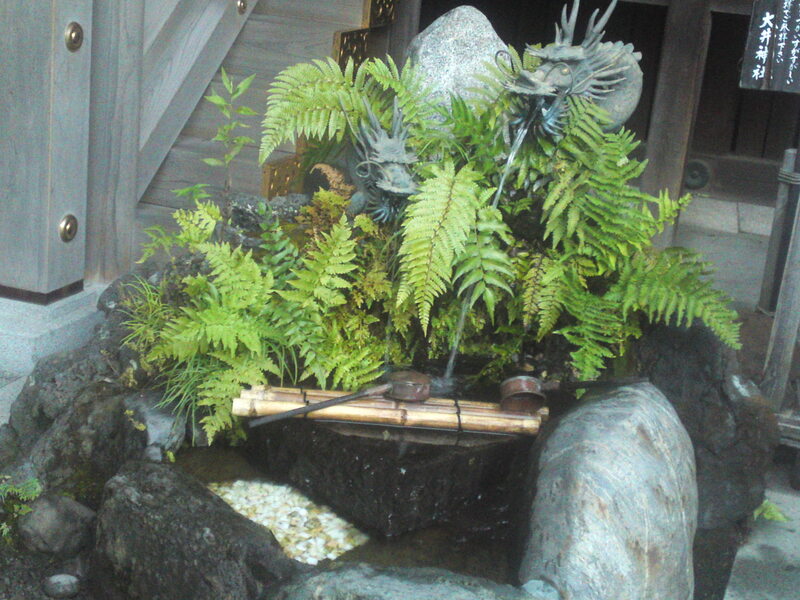 Inviting you for a ride to discover more!